The Rebel Sweetheart. 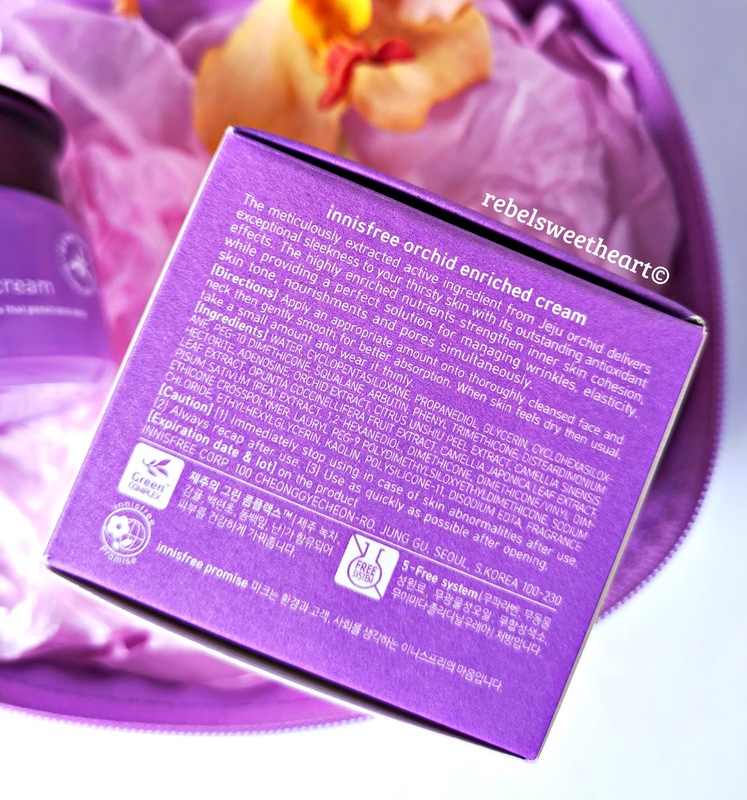 : Spotlight | Innisfree Orchid Line. I usually tweak my skincare routine depending on my skin condition and the current season. For the cold months, I switch to products with thicker and richer formulas as my skin tends to get dry and patchy during this time of the year. And now that the days are blustery and the temperature dips low, my skin gets the extra boost of hydration from Innisfree's Orchid line. Innisfree Orchid Enriched skincare line. I discovered this skincare range two year ago, during my second winter trip in Seoul. I was on the hunt for winter-appropriate skincare products back then and chanced upon this limited edition 'Orchid Lucky Box' being sold at 32000 Korean won (around Php 1500 or $28). 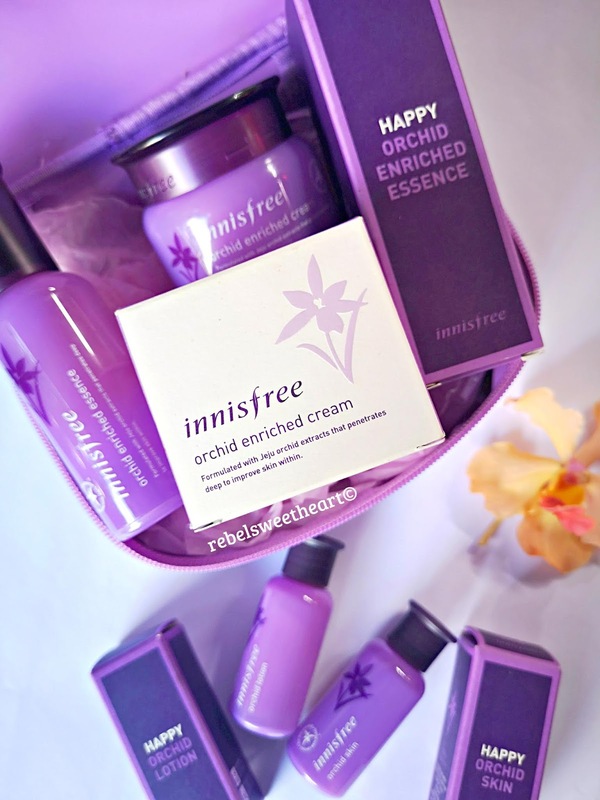 With every 'Orchid Lucky Box', you get a full-sized jar of the Innisfree Orchid Enriched Cream (50 mL) plus a few other 'mystery items'. You won't know what's inside the box until you open it. Not bad, I thought, considering that the cream already costs 25000 Korean won (around Php 1100 or $22). the Innisfree Orchid Enriched Essence, the Innisfree Orchid Lotion, and the Innisfree Orchid Skin. I think I really got lucky with the box that I bought, because mine contained a full-sized bottle of the Innisfree Orchid Enriched Essence (50 mL), which usually retails for 28000 Korean won (around Php 1300 or $25). I got more than what I have paid for from this product alone. I also got travel-sized bottles (30 mL) of the Innisfree Orchid Lotion and the Innisfree Orchid Skin, 2 packs of Innisfree Premium Cotton Pads which I've already used up, and a 2017 desk calendar which I've thrown away. Now here's a closer look at Innisfree's Orchid skincare products. Innisfree Orchid Skin and Innisfree Orchid Lotion. The Innisfree Orchid Skin is a refreshing toner with fine gel texture that adheres densely to the skin to retain moisture and enhance resilience. Despite its slightly thicker, fluid-like consistency, it does not feel sticky when applied and is easily absorbed by the skin. With just a few drops of this toner, your skin gets instant hydration and quick relief for those dry, flaky patches. 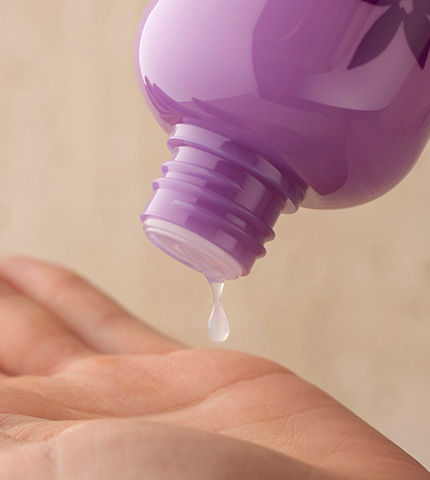 On the other hand, the Innisfree Orchid Lotion is a lightweight emulsion formulated with the so-called Orchid Elixir2.0. It's a substance acquired from the Jeju orchid which makes dry skin radiant and strengthens the skin’s defense system. 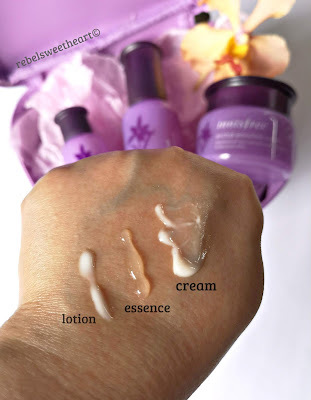 Although its consistency is a wee bit thicker than other lotions/emulsions that I have tried, the Innisfree Orchid Lotion blends easily on the skin thanks to its 'melt-in texture' from coconut oil. Likewise, the Innisfree Orchid Enriched Essence has a thick, syrupy consistency which kinda took me aback at first. Having been used to essences with light, watery textures, I found this essence a bit too thick and sticky for my liking when I first tried it. However, when blended properly and once fully absorbed by the skin, the essence no longer feels sticky nor tacky. In the course of time, I have gotten used to its syrupy texture and have learned to appreciate its rich formula. 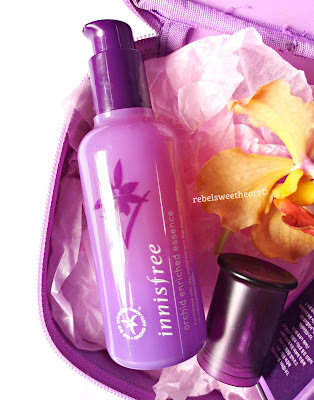 The Innisfree Orchid Enriched Essence promises an 'instant firming effect while preventing the breakdown of collagen'. It contains natural lifting ingredients extracted from oatmeal and orchid elixir to make the skin firm and keep it supple with a radiant glow. Although I didn't achieve the aforementioned results in an instant, I appreciate the fact that my skin has become smoother and more supple with continued use of this essence. I also love its mild, floral scent which is quite soothing and relaxing, especially when used before bedtime Aromatherapy, anyone? Finally, we have the Innisfree Orchid Enriched Cream, a rich and moist essence-like cream with Jeju Orchid Extract, Jeju Green Complex, and green pea extract that provides full nourishment for the skin. Basically, it's an anti-aging cream that tightens skin, reduces wrinkles, and brightens your over-all skin tone. 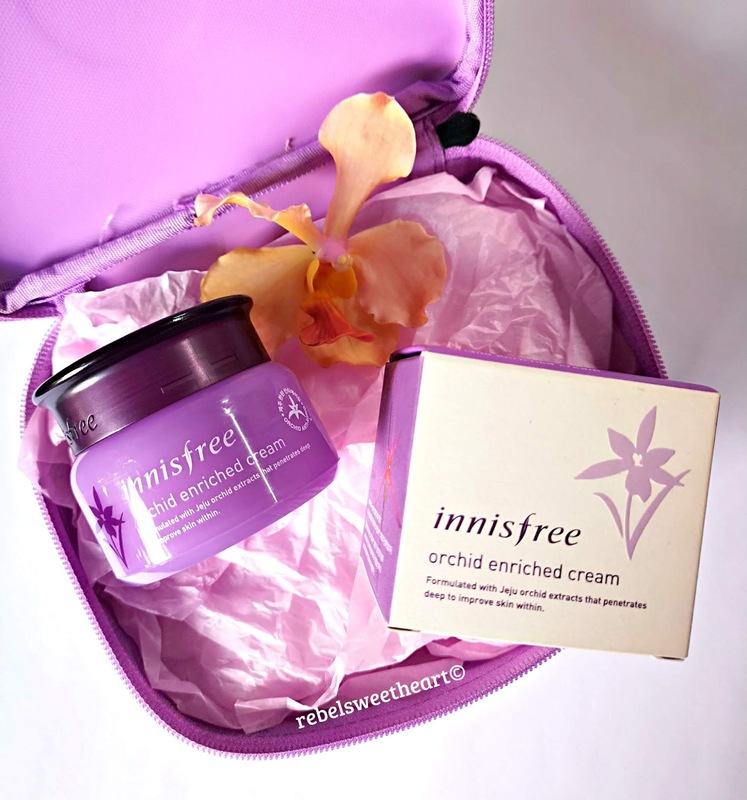 Like the other products from the Orchid line, the Innisfree Orchid Enriched Cream has the same lovely scent, and a rich and thick formula - not surprising since creams are supposed to be like that. 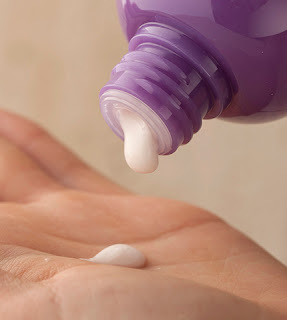 It doesn't absorb easily on the skin like gel moisturizers, but it does not feel sticky nor does it have a greasy after-feel. I use this as the last step in my nighttime skincare routine, and I love how this cream seals in moisture and keeps my skin hydrated throughout the night. And we all know how wonderful it is to wake up to clear, glowing skin, right? 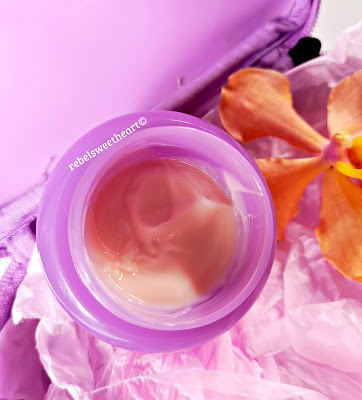 I usually get dry, red patches on the nose whenever the cold months kick in, and I love how the Innisfree Orchid Enriched Cream kept the dryness and flaking at bay. By layering all four Innisfree Orchid products on my skin, the unsightly red patches were gone in as little as two days - a feat not achieved by other skincare products that I've tried. and Innisfree Orchid Enriched Cream. The Innisfree Orchid line is best for dry skin, but can also be used by those with combination skin. If you have winter skin issues like mine, this skincare range will be your best friend and your ally against icy air and chilly temperatures. Have you tried this line of products before? What's your favorite winter skincare product? I really like how detailed you compared all these items. I have never heard of them before, but now I need to try that lotion! First, it being purple, automatically intrigues me :P The anti aging cream sounds really nice. Thank you for reviewing the products! My skin gets really dry during cold weather too! This sounds like a great product, I might have to give it a try! This sounds so great! I get dry skin in the winter as well. It helps to have a solid routine. This product seems great, I've always been interested with Korean products. They look so effective. I can't deny that Innisfree is really a good product! I am a fan! I love the packaging of these products and the travel size. Looks like they'd make great gifts, too! The fact that the box comes with full sized products makes a difference for me. That’s awesome. sounds like a great product, I might have to give it a try! 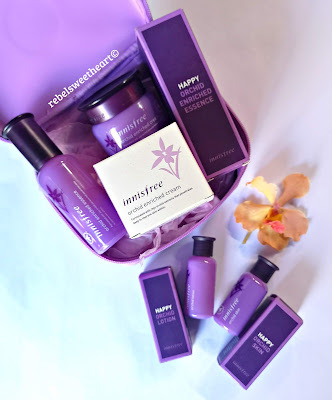 I love K-Beauty and I have always thoughts Innisfree is such an amazing brand! I tried Innisfree Orchid Line before and I liked it. Planning to buy more! I love to change up my skincare routine, too! These products look great, and I love the packaging. Is it strange to say it just LOOKS like this would smell great? Because it totally does. I'd love to try the lotion, parang sa packaging palang ang bango na. I only tried their Jeju Volcanic line and so far, no break outs from my skin. Mukhang okay to ah. 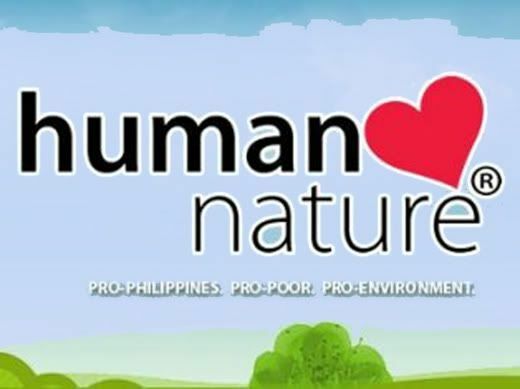 We love Innisfree. We usually hoard when we go to HK. Smells nice, too and great items as gifts. Haven't tried the Orchid line though. My best friend swears by Innisfree! I have to check this product out. This sounds like a great product. I want to try this for sure. Thanks for sharing. Oh I love Innisfree. This is one of my favorite product and it is very effective on my type of skin. Glad it's doing wonder to your skin. I love lightweight skincare products as well. For some weird reason my skin gets very dry around this time. I'll have to tried the lotion. Do you have an affiliate link?